I haven’t explored Japanese cuisine much. I have tried only the California sushi rolls with avocado and cucumber and Teriyaki Tofu. I know it’s not the authentic Japanese sushi rolls and recipes, but that’s the only veggie option I get here. You can find my version of Teriyaki Tofu here. Even though I haven’t explored the cuisine much, I have tried their sauces like mirin, tamari, and teriyaki and of course wasabi. I cannot, and I will not forget the flavors of wasabi. I haven’t tasted it for five plus years now. Wondering why? We all know Wasabi is exceptionally pungent and hot too. In my previous workplace, we have snack section, and one of my colleagues bought the bag of wasabi flavored edamame. I love edamame, and without realizing it is wasabi flavored, I took a handful and gulped it down before anyone could stop me. The flavor hit hard, and it not only burned my tongue but my entire digestive tract. ;-) My face turned red, and it took me more than an hour to get back to normal. I didn’t dare to try wasabi after that. 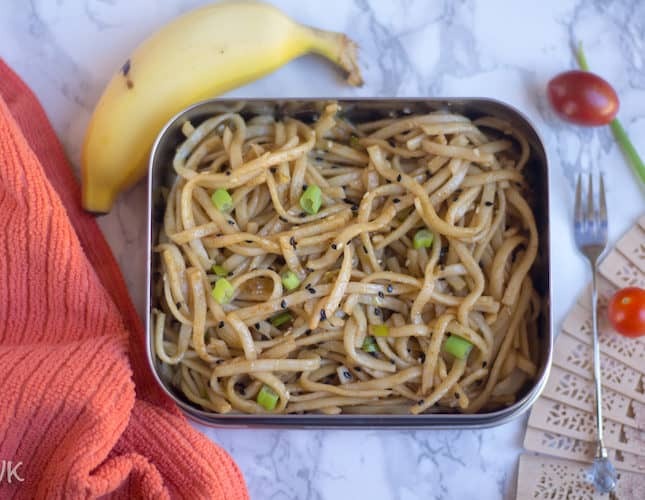 To incorporate udon noodles in my cooking was on my to-do list and when I decided to go with A – Z lunch box recipes, I decided to make a dish with udon for alphabet U. Vaandu love soups. Earlier I used to pack pasta soups for him, but now he doesn’t prefer taking soups for lunch. So instead of soup recipes, I decided to go with a main course noodles recipe. That’s when I stumbled upon this video, and I did not look any further. The recipe is simple. Cook the noodles and toss in soy sauce, sriracha, peanut butter, sesame seeds and of course green onions. And boom, you are done. 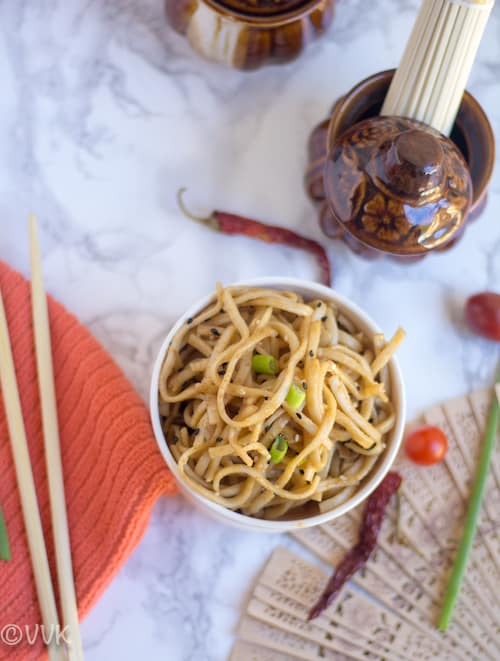 :-) The author mentioned that it is dandan style (Chinese Sichuan style) noodles and when I further researched, there is a similar Japanese version called tantan-men. I am not sure if my method falls under any of these. But I am happy to share my version, and here it is. Cook the noodles according to the package instructions. Here is how I cooked. I bought 4 cups of water to boil by adding one tsp of sesame oil and 1/4 tsp of salt. The package instruction mentioned 12 minutes of cooking time. I let it cook for 10 minutes and then turned off the heat. I let the noodles stay in hot water for two minutes and then drained the hot water and ran it through the cold water. Cut the green onions and set aside. Peel and cut the ginger and garlic finely. Heat a pan or wok and add the peanut oil. Ensure you are cooking on high heat. 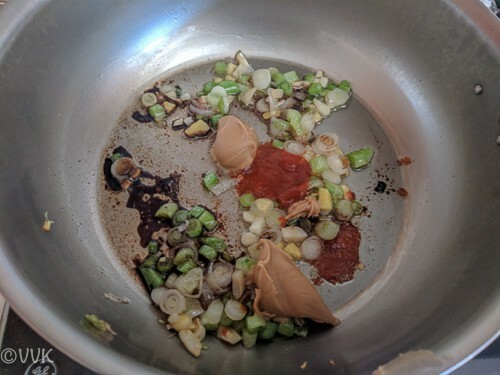 Add the green onions, ginger, and garlic. Saute on high heat for a couple of minutes. Now reduce the heat and then add the soy sauce, sriracha, peanut butter and 1/3 tsp of salt. Mix them. Allow the peanut butter to melt and combine with other ingredients. Now increase the heat to high and add the cooked noodles. Mix gently and ensure the noodles are coated evenly with the salt. Cook on high for two minutes and turn off the heat. Sprinkle the black and white sesame seeds and serve hot. 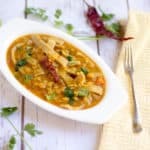 You can add veggies or tofu or even paneer and make it more colorful and healthy. Instead of peanut butter, you can include sesame paste. Adjust the sauces and spices as per your preference. Oh my,I can still remember our reaction to wasabi coated nuts that Vaishali gave us! It was so pungent and then it was so hot as well!! 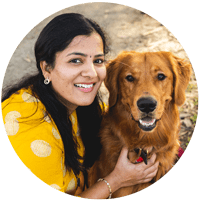 Udon noodles with peanut butter sounds interesting Srividhya. ;-) Tell me about Wasabi. Thanks, PJ. 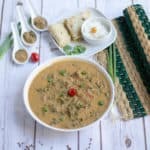 wow peanut butter sauce with noodles sounds so delicious vidhya !! 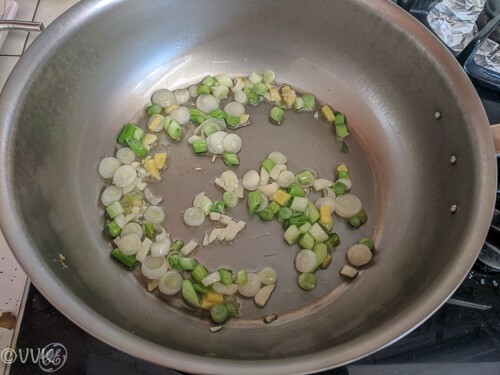 I have never tried wasabi yet I think I should try some day.. wonderful recipe you picked vidhya !! Did you use the unsweetened peanut butter here? The noodles with peanut sauce sounds very inviting. Yes, I went with unsweetened for this one. 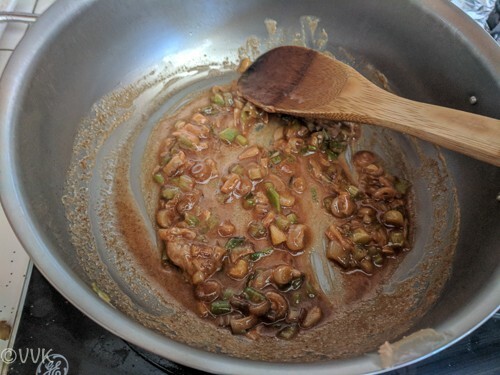 Peanut butter is a blessing to make the quick sauces. That is the only way any of us eat peanut butter in our house. 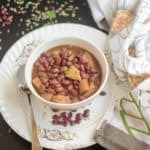 What a quick and easy recipe this is to make in the mornings. 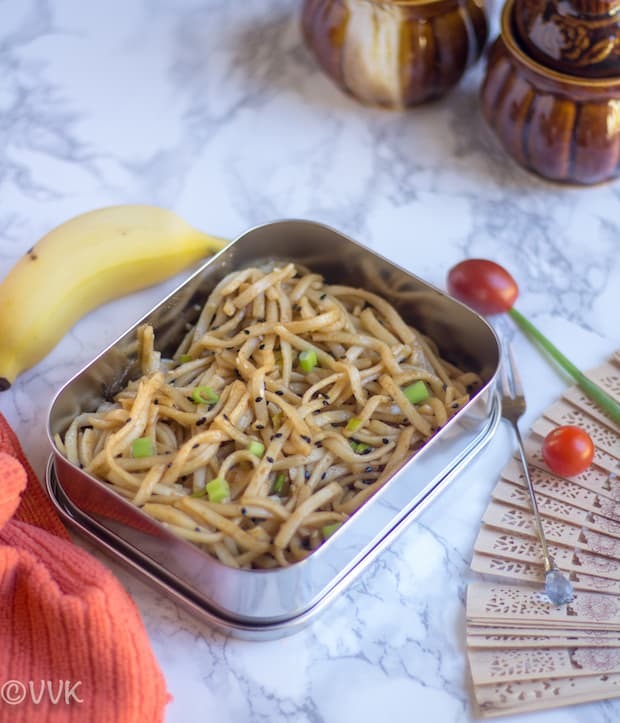 The udon noodles in peanut sauce sound just perfect to pack in the lunchbox. 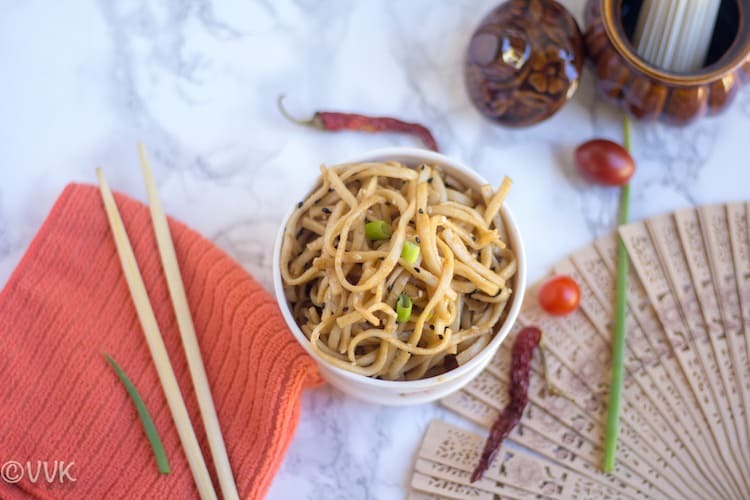 My girls love noodles in all forms and I would try your version for them. Delicious udon noodle preparation with peanut butter. Whenever I go to UK or Dubai, love going to Wagamama as they serve the best udon noodles…either as a dry preparation or as a wholesome soup. Wasabi… I stay away from it.. I’d tasted it a few years back and its so pungent. 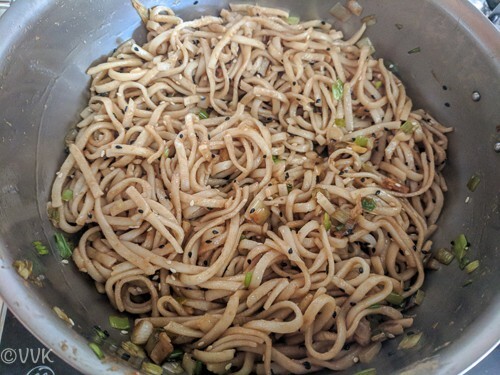 Delicious and quick recipe… love the noodles ..
I’m not sure what the fascination the kids have with noodles, but both my kids LOVE noodles and this Chinese style Udon noodles sound perfect to make for them. That peanut butter sauce sounds scrumptious. 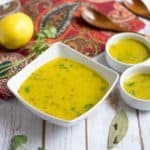 Will have to try this recipe some time soon. Oh, Wasabi – I like it in moderation. I squeezed a ‘healthy’ squirt of wasabi mayo on my burger at a BBQ party recently, not knowing it had wasabi in it and the next half hour my eyes, nose and mouth were on fire :-) I can imagine what a handful of those edamame would have done to you. I still remember how wasabi burns in the throat. I was quite unsuspecting when Vaishali offered me the nuts, but you should see my face. Lol. But I liked that burn after a few tries. 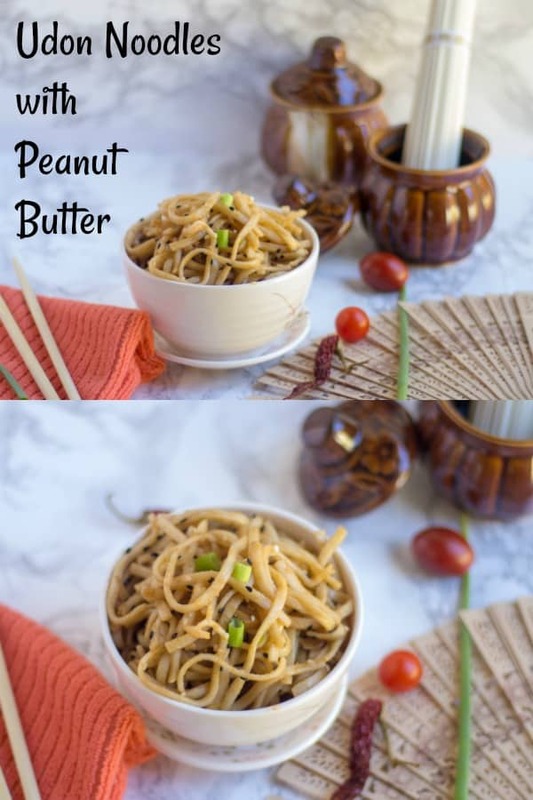 This udong noodles with peanut butter is such a nice fusion recipe. Looks yum..
Haven’t tried wasabi, but hearing this kind of experience, i doubt that i will try ever !!! Btw, the udon noodles with peanut butter sounds delicious and flavorful. 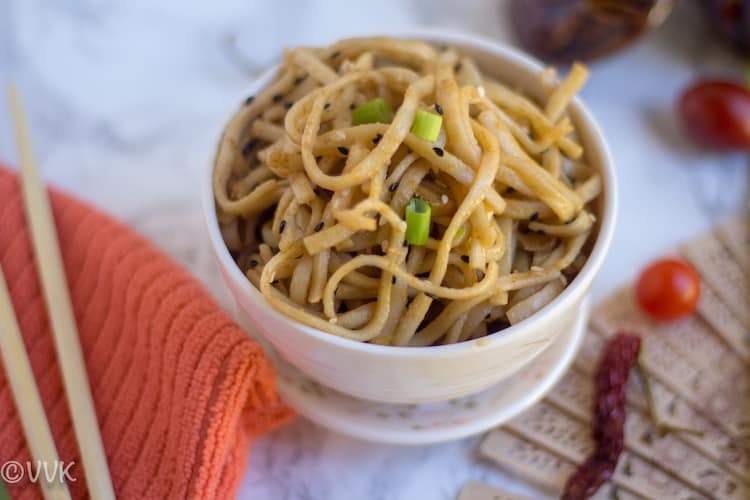 Love this kind of simple noodles recipe !!! 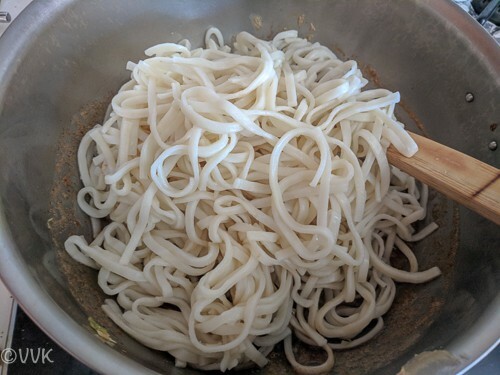 Have prepared udon noodles long back for an event and after that i never cooked with them. Now i dont have any excuse to dish out this incredible dish. Love that peanut butter addition here. Please do make them again. You will love it for sure. Udal noodules looks lovely.. 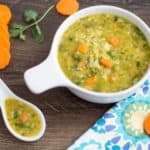 Such a perfect blend of flavors… Sure kids will love this!! Japanese Udon noodles taste awesome when we try the Indian Chinese way , I really don’t make much of these here but when in Japan eat all these and enjoy them too . Talking of wasabi we have a video recorded on Gayathri’s reaction after eating wasabi coated nuts while we were traveling to Vrindavan ! I bet she will never forget those and even the rest of them . Wasabi sure is pungent ! Oh wow… I didn’t know about Gayathri’s wasabi saga… I agree wasabi is super duper pungent. I have had a nasty experience with Wasabi peas myself. 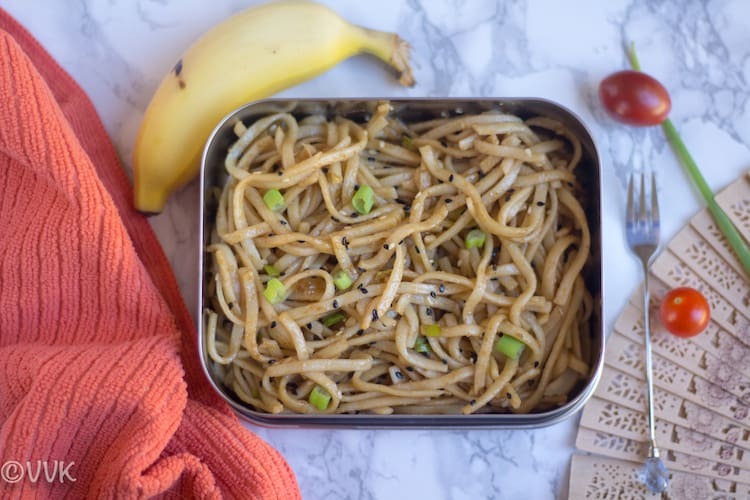 The noodles look simple and doable on a weekday morning. Thanks, Harini. Please try one peas at a time.